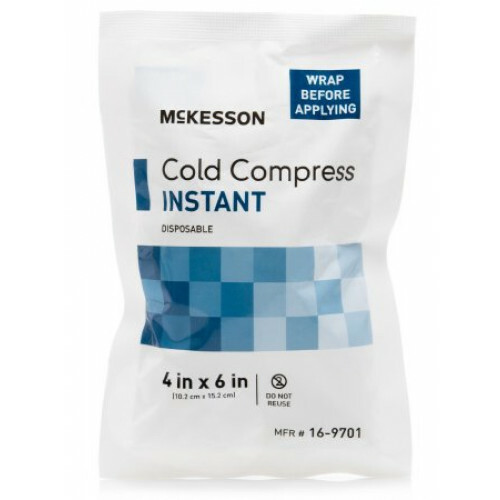 The McKesson Cold Compress Instant Disposible Ice Pack should be a product you have available and ready for use at your home, at your car, at your office, anywhere you regularly go. Children tend to use ice-packs more as they are more active and more prone to becoming injured while doing activities. Even if you do not have children running around, does not mean you should shy away from purchasing an instant cold-pack in the event you are the one who needs it. 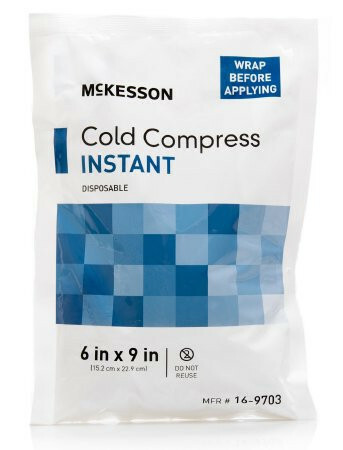 The McKesson 16-9702 Instant 5 X 7 Inch Ice Pack offers the same benefits as the larger or smaller sizes offered such as the McKesson 4 X 6, and McKesson 6 X 9 Ice Pack in helping relieve bruises from blistering as well as keeping swelling down, helps toothaches, and abrasions when you fall and scrape yourself or attend to others who may have been injured. It gets cold! 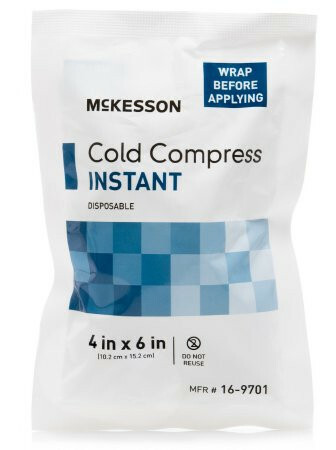 The McKesson Disposable Instant Cold Compress can get extremely cold to the point where it can start to feel like it is burning your skin. This is why it is recommended to wrap the cold pack before using it. The pack can be activated immediately, instructions on the back of the pack offer the best and easiest short steps to activate your ice pack. 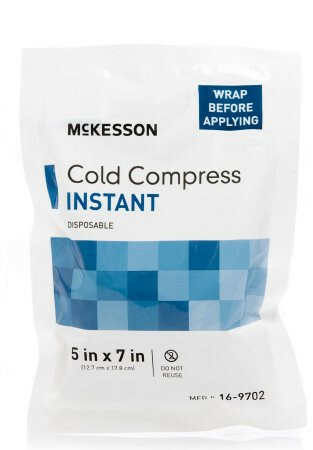 Not made with natural rubber latex, the instant disposable ice-pack can be used with a wide range of patients with no risk of allergic reactions to this material. Hot and Cold Therapy may be an option you may want to try if you are suffering from back pains or muscle pains. 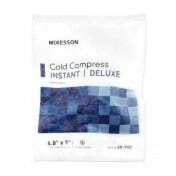 I have used these cold packs many times before with satisfactory results. These latest packs, however, do not stay cold for more than a few minutes. The reason: the active ingredient has been changed from ammonium nitrate to calcium ammonium nitrate. 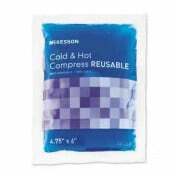 I would not have purchased these cold packs had I known that they were reformulated. Now I know why no seller shows the back of these packs nor mentions the ingredients. I contacted Vitality about my dissatisfaction but did not hear back from them. The 4x6's were not great! I ordered 100 of them, at least 15 were broken open upon arrival, and they didn't really get very cold. All situations requiring a cold pack, required 2 or 3 of these ones to complete the job!